Imagine adding a chair to your home where you could relax with a great book. In this comfortable and cozy chair, you can escape to other worlds in your book, getting lost in the story with a blanket splayed across your lap as you enjoy time spent in your home. When you buy our Library Wing Chair, you can do this in style! Our elegant chair looks fantastic in your bedroom, living room or a library. It features a deep seat where you can lean back and let the stress of the day melt away. All the pieces we sell at AmishOutletStore.com are made by Amish artisans, and each one gives you customization options so you can match your new item to your existing decor. We offer a range of fabric choices for this chair. Our upholstery options include patterns as well as solid colors. Browse through our selection to find one you can imagine sitting on day after day! The Amish who create our furniture learned their trade by watching their parents and grandparents at work. These older generations taught the younger ones the importance of using traditional techniques, which our artisans continue to employ to this day. They rely on them because they work. Our sturdy furniture lasts for years, and our customers even call it “heirloom quality” due to its outstanding durability. The furniture we sell is available for up to 33 percent off every day, and you can look on our homepage to find monthly specials. 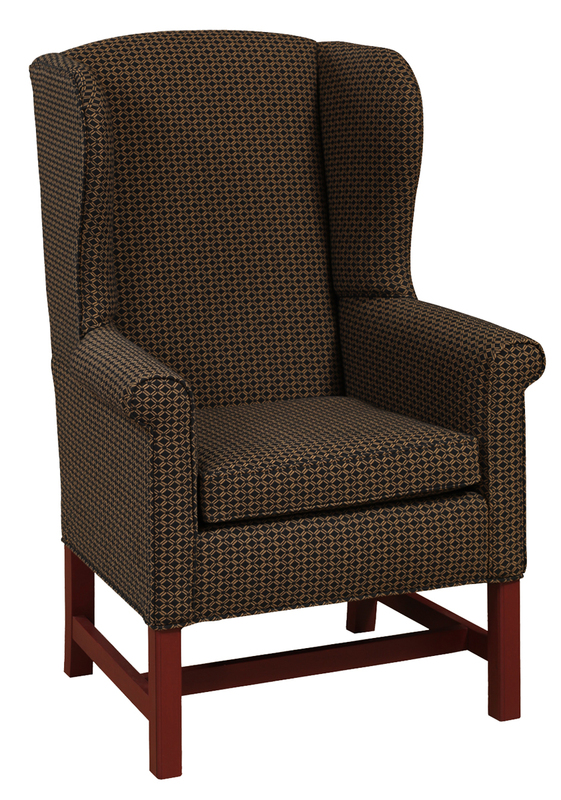 Contact us to learn more about the Library Wing Chair today!